Indeed, although violinist Mik Kaminski and cellists Hugh McDowell and Melvyn Gale appeared in the promotional videos for the multi-platinum Discovery album, they didn't contribute to any of its songs. In yet another musical departure, many of these catered to the dance floor in a manner that prompted keyboardist Richard Tandy to dub the record 'Disco Very'. However, even though 'Don't Bring Me Down' also boasted a very danceable up-tempo beat that appealed to the contemporary club scene, it was rooted much more firmly in the rock vein, as Jeff Lynne, backed by ELO's trademark high-harmony vocal chorus, sang about a party girl who was giving him the runaround. A producer and engineer who worked on half a dozen ELO studio albums (as well as four by Queen and recordings featuring the Rolling Stones, Deep Purple, David Coverdale, Led Zeppelin, Uriah Heep, Rory Gallagher, Black Sabbath, Meatloaf and the Scorpions), Mack received classical training on the piano, clarinet and acoustic guitar while growing up in Munich, Germany. At the age of 14, he discovered the electric guitar and subsequently earned "fairly decent money” playing in a school covers band before being drafted into the army. 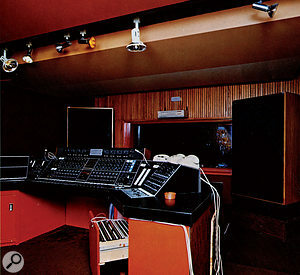 That facility turned out to be the well-known Union Studios, where Mack commenced work in 1970 and learned the ropes of engineering over the course of the next two years, while the recording equipment was upgraded from four-track to eight, and then to 16. "At that point, the band members looked at me and asked, 'Can you do it?' 'Yeah, I guess so,' I replied. I then excused myself, told the studio manager what had happened and, since everything was already pretty much set up, he told me to just run the tape machine and say, 'That was pretty good. Can you do one more?' So, that's what I did and the guys in the band bought it. Diplomacy, together with smoke and mirrors. Mack's next big opportunity arrived in the form of Italian songwriter/performer/producer Giorgio Moroder turning up at Union Studios and asking him to mix a track by Scottish singer Lulu. Happy with the result, Moroder — who had enjoyed German chart success with his 1969 recording of a song called 'Looky Looky' — then proposed that Mack work for him full-time. 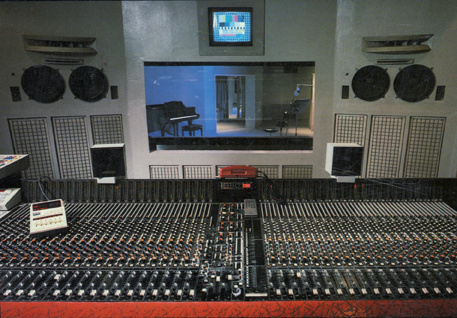 Armed with funds from a recording contract with Phonogram and the proceeds from 'Son Of My Father' — which, co-composed with Pete Bellotte, was a 1972 UK chart topper for Chicory Tip — Giorgio Moroder responded by having Mack help him expand the basement facility into what, the following year, would become Musicland Studios. "I did most of the wiring without really having a good grasp of how to do it,” Mack admits. "A lot of it was common sense. I also looked at a couple of books, and although there was so much more to it, I kind of got it together. At first, the headphone situation was terrible because I didn't take the monitoring situation into consideration, but during the course of Musicland's existence I redid the wiring five times and it became an excellent studio. Also, I should point out, it had really good air conditioning! 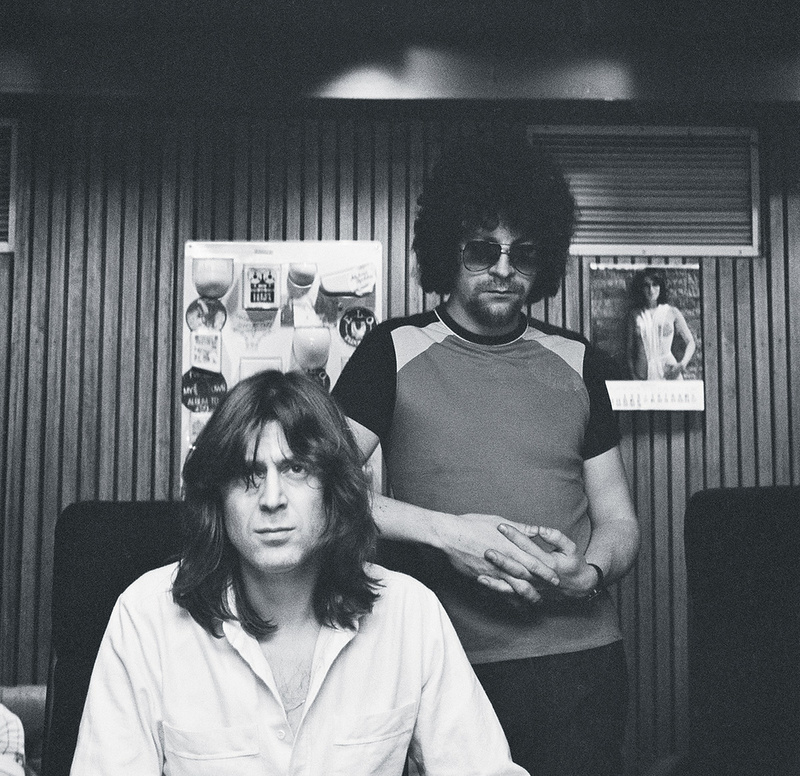 These were for the T-Rex album Zinc Alloy & The Hidden Riders Of Tomorrow — A Creamed Cage In August, produced and engineered by Tony Visconti, who sat behind the Helios console while Mack assisted him in recording to a Studer A80 16-track machine and monitoring on JBLs in the 35-square-metre control room that looked out onto the 150-square-metre live area. 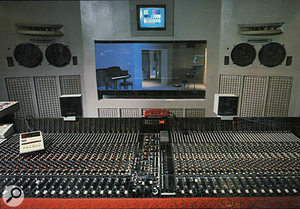 Musicland's (then) new Harrison Westlake console. Following the Bolan sessions, Mack was also involved in those for Deep Purple's albums Stormbringer (1974) and Come Taste The Band (1975), Led Zeppelin's Presence (1976) and the Rolling Stones' It's Only Rock & Roll (1974) and Black & Blue (1976). Meanwhile, in May and June of '75, he worked with ELO for the first time, engineering the group's fifth studio album, Face The Music, before doing the same a year later on A New World Record, the UK breakthrough which — courtesy of hit songs such as 'Telephone Line', 'Livin' Thing' and 'Rockaria!' — mirrored the success that it had already been enjoying in the US. 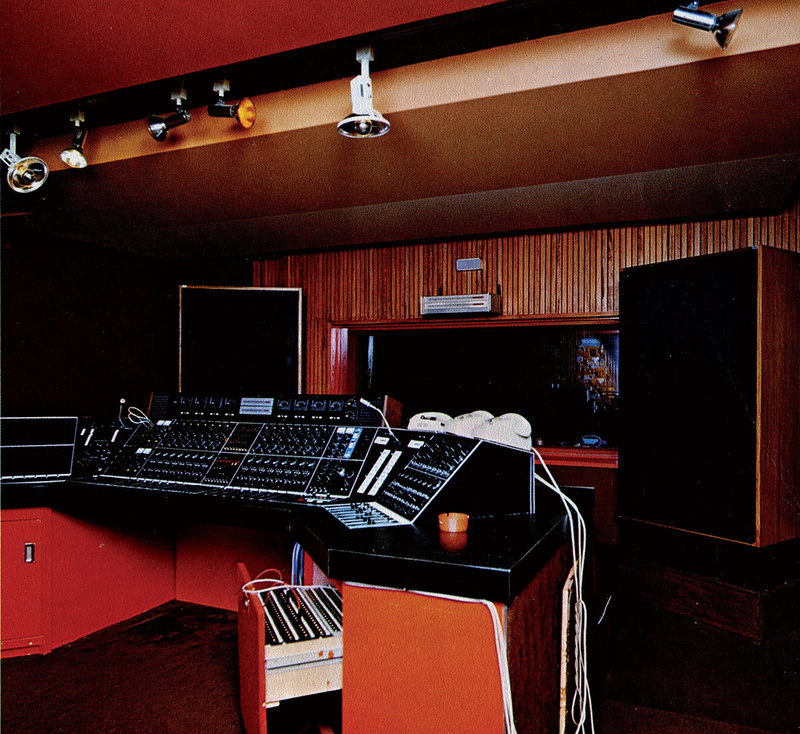 "It was during those sessions that we installed a new Harrison console,” says Mack. "We now had Westlake monitors, and during a meeting with Paul Ford, Glenn Phoenix and Tom Hidley I said I'd like to have a console on which I could push a button to play the six two-track machines, two four-tracks, two 16-tracks and two 24-tracks. Monitoring would be in there — I didn't want to do any patching — and everything would be switchable for different configurations. Tom said, 'I might just have the console for you,' and he hooked me up with Dave Harrison. "The Harrison had a matrix in each channel, with diodes enabling the switching. The faders were VCAs, you could flip the whole thing so that the path was from the preamp, you could have EQ in or out, you could monitor two four-track machines, and you could pretty much do anything at the push of a couple of buttons. It had a very clean recording sound. You'd go from the preamp over the monitor port onto the tape machine, and that was it; a really short and clean signal path. This was the case for 1977's Out Of The Blue, the multi-platinum double album that spawned the Top 10 hits 'Sweet Talkin' Woman', 'Wild West Hero' and 'Mr Blue Sky'. The last of these closed side three of the record, comprising the four-song musical suite, 'Concerto For A Rainy Day', that turned out to be Lynne's farewell to symphonic rock. "I told Jeff, 'If you want to record the strings here in Munich, the people from the Munich Symphony Orchestra will charge you either by the hour or for the session, and there will be no demands like in England for tea breaks, union fees and exactly how long the sessions will be,'” Mack recalls. "That way, he could tell the musicians precisely what he wanted them to play or what he wanted them to redo and nobody would complain. "We had close to a love/hate working relationship. In fact, if you ask him he'll still tell you that the most annoying thing about me was when he'd ask me to do something and I would reply, 'For what purpose?' Not the most diplomatic approach, I know. Jeff loved having the total freedom of doing weird things, putting mics in strange places, hearing unusual sounds, then changing his mind and doing something completely different. However, he'd never explain his ideas, and until he began overdubbing his vocal onto a song's rhythm track, I'd have no clue about how the melody would go or where the singing would be. This made it hard to foresee if the sounds we were creating were in the right place. 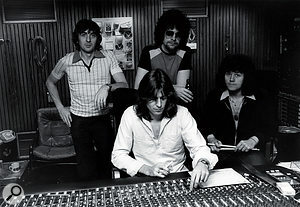 The recording sessions for ELO's eighth studio album, Discovery, took place at Musicland in March and April of 1979, with all of the backing tracks being laid down by guitarist Jeff Lynne, drummer Bev Bevan, bassist Kelly Groucutt and keyboard player Richard Tandy within a couple of days. Looking out to the main studio area through the control-room glass, Mack would have seen Bevan behind his drum kit in the far left corner, Groucutt on DI'd bass next to him, and then Tandy's DI'd keyboards. The drums were miked with a Neumann U47 on the kick, a Neumann KM84 on the snare, a Sennheiser MD421 on the toms and Neumann U87s as overheads. "All of the drums were double-tracked,” Mack says. "The overdubbed kit was in the bathroom, and I just stuck one mic up there and compressed it with a Urei 1176, overloaded. We did that on every album, but on Discovery we just recorded the bass drum, snare and toms in there for more control. Otherwise, it would have been too messy. One of the final songs to be worked on during the Discovery sessions was 'Don't Bring Me Down'. However, this boasted an atypical approach to both the conception and execution. This was extracted from another of the album's tracks, 'On The Run', slowed down and then sped up slightly, as per Lynne's request. "Jeff asked me, 'What next? '” Mack continues, "so I said, 'Well, I guess you'll have to go out there and count the bars to provide us with some kind of structure.' That's what he did, and then once again he asked me, 'What next?' At that point, I could tell he liked the idea of experimenting and was following my lead. 'Let's put down some piano,' I suggested. 'Twelve-bar blues.' There were two grand piano parts playing the same thing, then three, after which I suggested the obvious: bass and guitar. 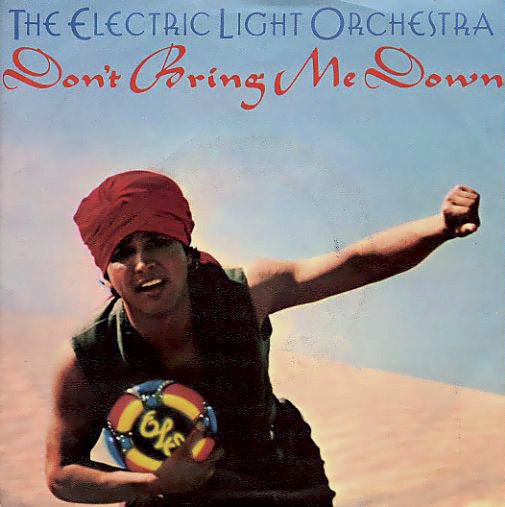 "Gradually, Jeff started getting into it, and, as there was a plan for ELO to start a concert tour in Australia, the song was originally titled 'Don't Bring Me Down, Bruce'. This was meant to be a joke, referring to how many Australian guys are called Bruce, but we couldn't leave it like that, so eventually we replaced it with 'Gruss', based on the Bavarian greeting Grüß Gott — 'greet God'. Gruss, not Bruce, is what you hear in the song immediately following the title line. A bit like Freddie Mercury joking around at the end of Queen's [1985 single] 'One Vision', singing 'fried chicken'. Certainly, it was Lynne who overdubbed all of the guitars on 'Don't Bring Me Down', including an Ovation acoustic 12-string and a Gibson Les Paul Goldtop running through a Marshall amp. "I had three or four microphones set up in the studio at various distances — very close, medium, far, very far — and, depending on the song, used them in combination to get the required sound,” Mack says. Once Lynne had figured out the precise structure of 'Don't Bring Me Down', he then added the vocals. As usual, this marked the first time that anyone — including his engineer and fellow musicians — actually heard the lyrics and vocal melody. It wasn't the easiest way to work, considering that there wasn't even a guide vocal to sing backing to. "It was all inside Jeff's head,” Mack asserts. "He'd tackle the backing line by line, saying, 'This goes here,' and 'Let's put a harmony on that'. Then I might say, 'Can you do a descending high harmony?' and he might say, 'Oh yeah, that's a pretty good idea! Let's try it.' Either it would be retained or he'd come up with something completely different, and the whole would evolve out of whatever he had in his mind. "When I first worked with Jeff, he sang into a U87 because he was used to that, and then I used an AKG 414, while always employing a little slap delay. I really like that microphone and I've used it on a lot of people, such as Freddie Mercury. It just has something special, whereas the Neumann had a honk in it that I didn't like. "Recording Jeff's singing was very easy but he made it hard for himself. He'd sing something that would sound good, and then he'd want to redo it in a completely different fashion. Sometimes he'd be in his hotel room and come back the next day and say, 'Wipe everything for each chorus, I'm going to redo it.' That was a task in itself — trying to drop in and drop out at the right points — because there was always something overlapping. But that was his style and probably still is today. "Often, I couldn't figure out his train of thought, and there wouldn't be any run-throughs. He'd just go for the real deal.